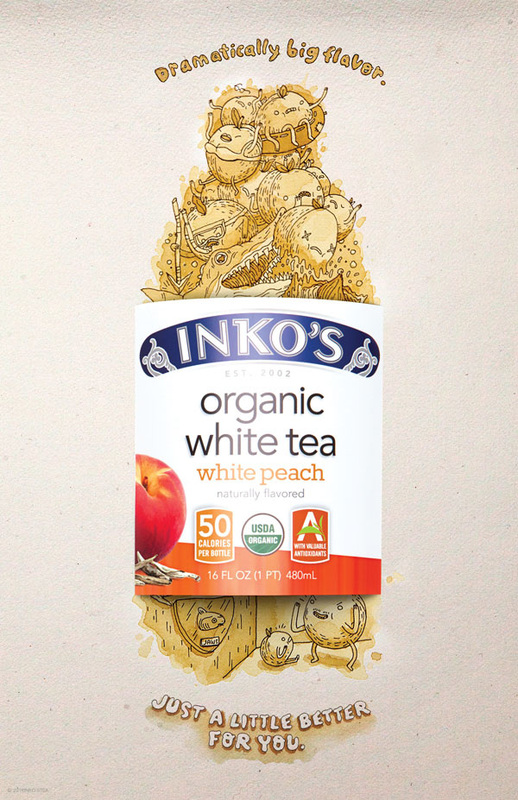 How good is Inko’s tea? So good I made ads using the drink itself. I brewed several different strengths of organic tea and used them as watercolors for this series. The visuals are entirely made up of organic tea and a Faber-Castell water proof dark sepia pen.